The driver's door window regulator went out a while back and needed to be replaced on my Magnum. You can't purchase any parts separately for the regulator assembly and the regulators are only available from a dealer. My local dealer wanted $320.00, I said I'd pass, and I found the best price at Mopar Parts for Dodge, Chrysler and Jeep: MoparPartsAmerica $194.00 delivered to my door. Some of my pictures didn't come out to good and were unusable. Not too many tools are needed for the job; Phillips screwdriver, 10mm socket and ratchet, razor blade, a 24" piece of PVC pipe (to hold up the window) and electrical tape to repair the weather barrier. 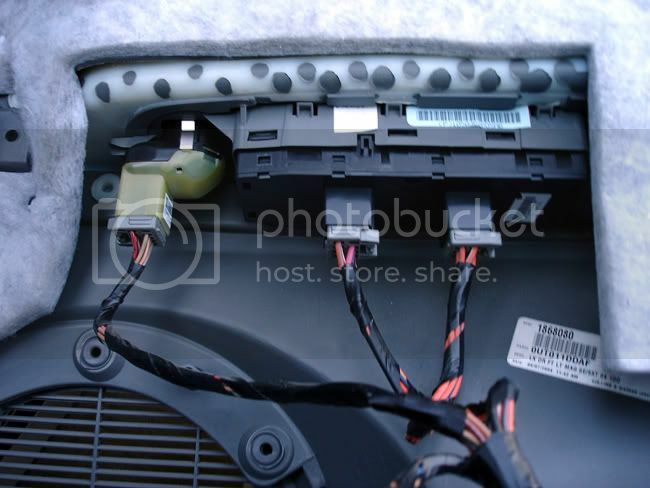 You also need to remove the plastic mounting clips. To take them out slightly push in the center of the clip, I used my car key. 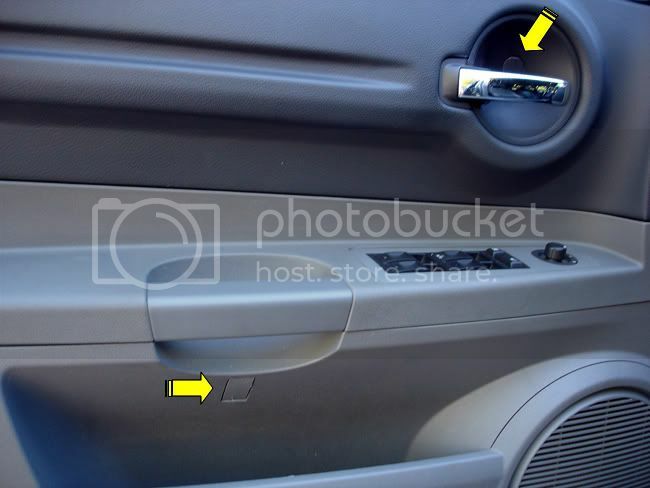 Once the center is depressed carefully lift the door panel away from the door. 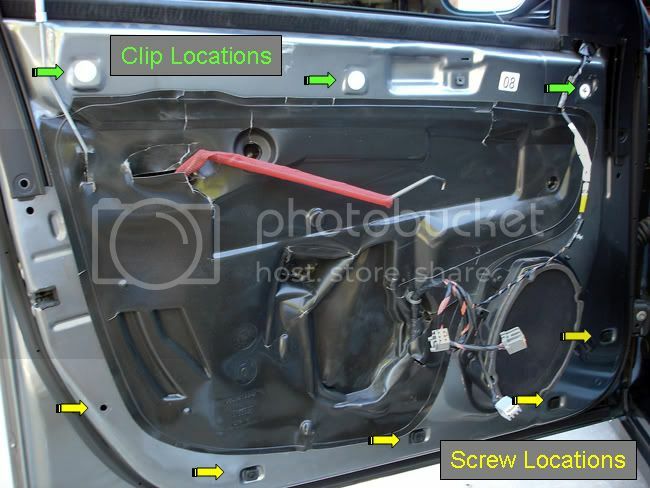 To remove the door panel kind of press it up and forward. Once it is free for the door there is a green clip that holds to rod from the door handle, carefully give it a twist to remove. If it breaks, like mine did they are about $8 at the dealer, but I think an throttle linkage clip would work (Kragen $3 for 6). There are three plugs to remove, all are different so they can't be mixed up. 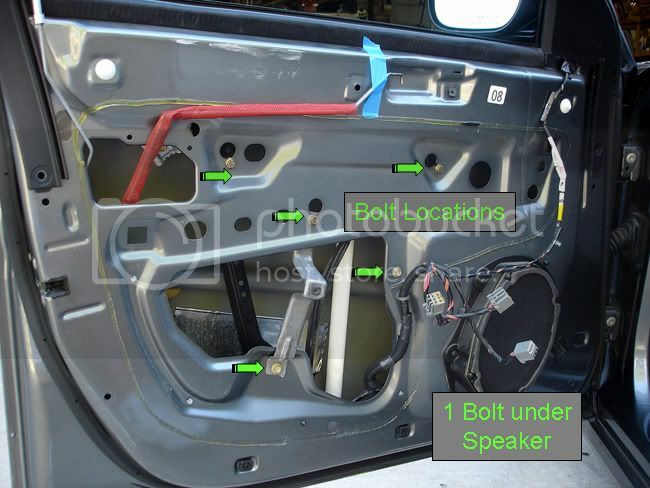 To remove the regulator there are several 10mm bolts, all are visible except the one under the speaker. Once the bolts are out it kind of just twists out, the part is very flexible. Here is the new regulator. On mine the little plastic clips that hold the glass clamps to the regulator broke, the motor was still fine...Carefully twist the new regulator into the door and remount the unit. Lower the glass down into the mounting clips and tighten the bolts, not very tight as you don't want to break the glass 11in/lbs I think. I needed to temporarily plug in the window switch to lower the regulator to get to the mounting clips. Last edited by Chutsk10; 06-26-2012 at 10:16 PM. Reason: Title change. Looks like some labor, time and patients is what's needed for this one. Job well done mate! 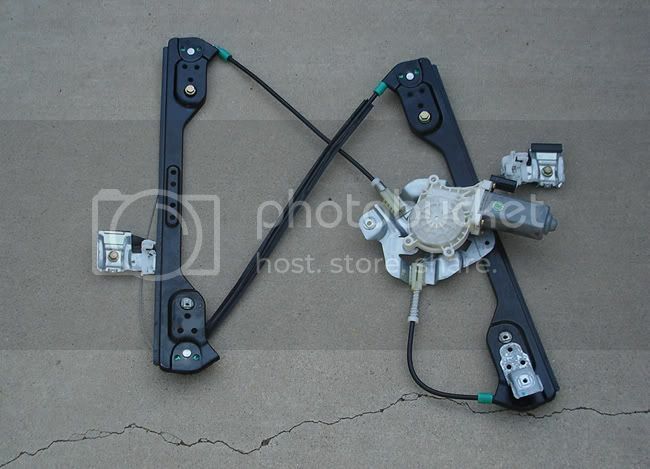 I was able to replace my window regulator successfully with the help of this How-To... Thanks a bunch! Question. Drivers side window is a dead stick full up. 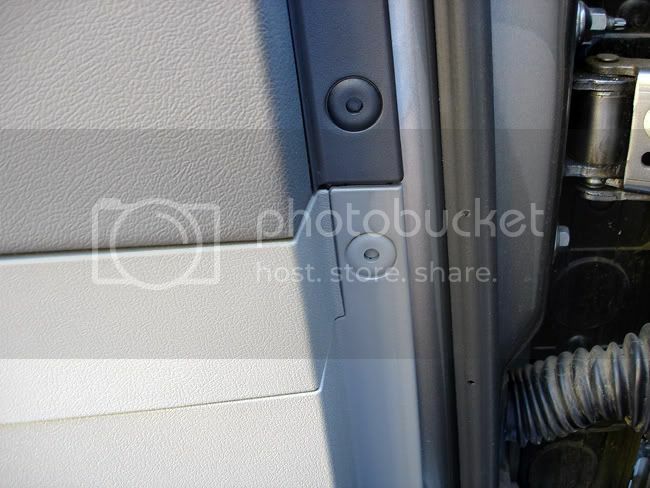 How do I access the glass bolts if I cant lower the window?